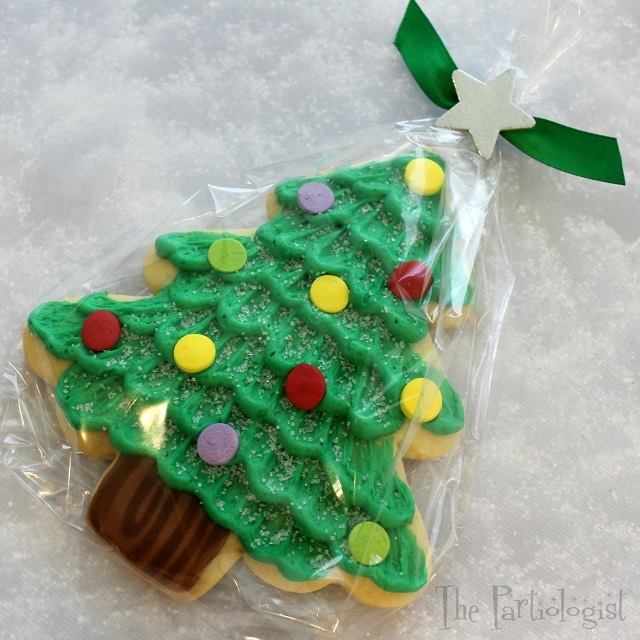 The Partiologist: Jumbo Christmas Tree Cookies! It's time to go back to school and see how I made these little, uh... 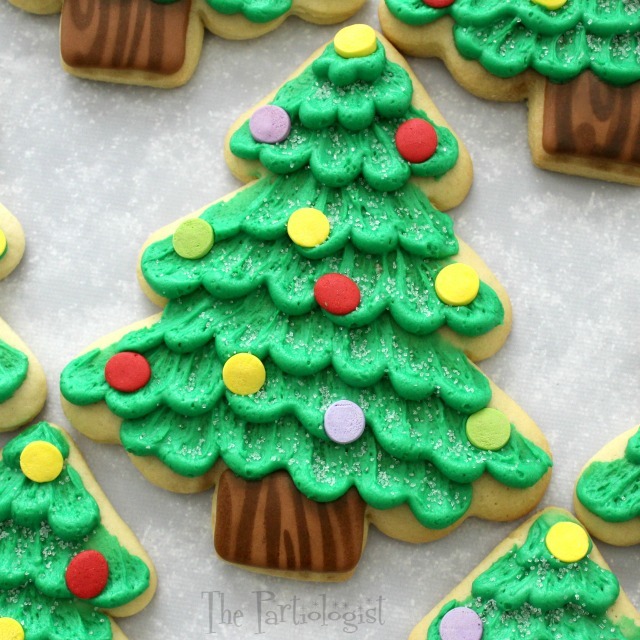 I mean JUMBO Christmas Tree Cookies! They're on my favorite of favorites Christmas Cookie list. And they can be on your favorites list too, join SugarEd Productions Sugar Art School to find out how! And while you're there, check out like a gazillion other tutorials! Including my Christmas Tree Tutorial. Do they look complicated to you? Well, let me tell you, they're not. And don't you think the packaging is just the right touch? You can find out everything you need to know to recreate the trees at SugarEd Productions Sugar Art School. I love them and you'll LOVE the school. 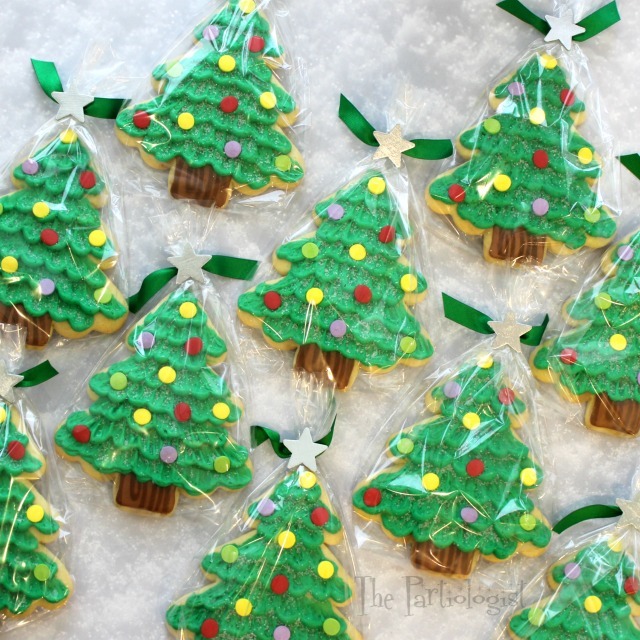 Could not find info on these Xmas tree cookies at Sugar Art School.